Note: If this is the case with the Torah, then what about the Noble Quran? Sh. Atiyyah Muhammad Saalim mentions a story relevant to this issue. He said that Sh. al-Shinqiti (the author of Adwa al-Bayan) was praying next to a man, the man next to him placed his shoes on top of the mushaf. When Sh. 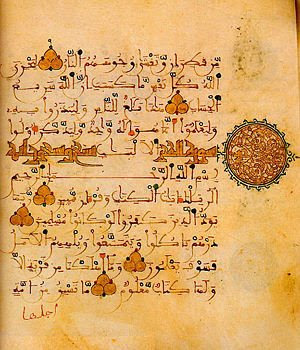 al-Shinqiti saw this he picked up the mushaf and held it. After completing the prayer the man questioned Sh. al-Shinqiti as to why he picked up and held the mushaf? And did he have an evidence that his act of placing his shoes upon the mushaf was unlawful? Sh. al-Shinqiti replied by placing the shoes on the mans head which resulted in him getting rather angry! We ask Allah (the Exalted) to increase our link with the Quran in the terms of respect, recitation and reflection. Ameen.